The College Board launched the Chinese Language and Culture Initiatives to help support the growth of Chinese education in U.S. schools and to build a solid foundation for the AP® Chinese program. 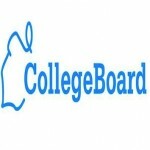 College Board offers programs to serve schools, administrators and teachers. Join school and district leaders for a one-week educational tour to China. During this program, you will visit schools, meet Chinese educators and students and participate in partnership-building activities. Learn about best practices, gather resources, experience Chinese culture and more. Join the CICC program and receive support to expand and enhance your Chinese language and culture program. The program provides grant funding, educational resources, guidance on best practices and professional development opportunities. Through its flexible model, it addresses the needs of institutions ranging from large districts to individual schools. Bring native speakers and authentic cultural resources to your school and community. Through this program, you can host an experienced language teacher from China for one to three years, or enrich cultural activities in your classrooms with a teacher trainee. The Chinese Guest Teacher and Trainee Program allows U.S. accredited K-12 schools and districts to start or expand Chinese programs efficiently and affordably.